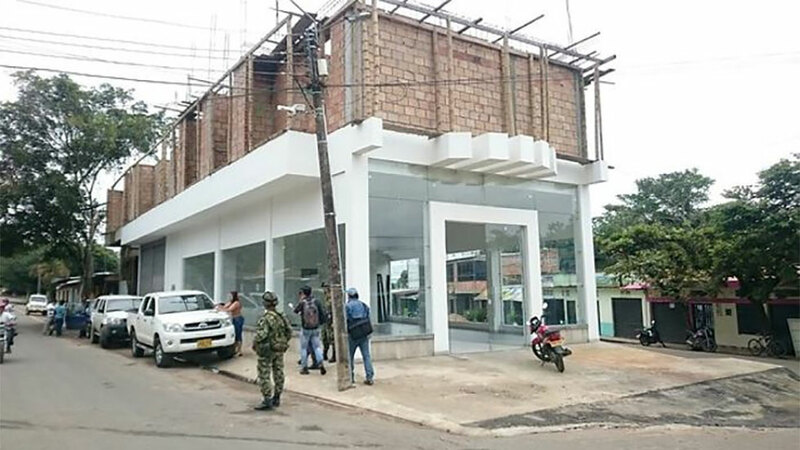 The FARC has surrendered a 135-page document detailing the demobilized guerrilla group’s assets, but the government has so far failed to reveal the value of these illegally obtained assets. Without having seen the FARC files, Prosecutor General Nestor Humberto Martinez claimed the former guerrillas’ assets could be worth $370 million. This figure, however, was not confirmed by the FARC or the Interior Ministry, the government body that now has the inventory in its possession. In fact, the FARC leadership asked the chief prosecutor to reveal the alleged assets on Tuesday, when the last container of guerrilla weapons were ceremonially removed from a rebel demobilization camp. We are asking the chief prosecutor to give us all the information so we can add it to our inventory. The FARC’s assets are meant to be used to repair the demobilized guerrilla group’s victims as part of the restorative justice system that is currently being set up. Interior Minister Guillermo Rivera confirmed having received the list of assets. The UN Mission gave me 135 pages containing the list of goods and assets the FARC claims to possess. The minister vowed these assets would be used only for victim reparation. He failed, however, to reveal how much the reported assets would be worth. According to newspaper El Espectador, Rivera met with the chief prosecutor and Inspector General Fernando Carrillo on Wednesday to share the surrendered information on assets. Martinez had vowed to make this list public, but has failed to do so, spurring speculation about how much money the FARC will contribute to victim reparation and suspicion the government could use the money for different purposes. After paramilitary umbrella organization AUC demobilized between 2003 and 2006, the paramilitaries and their political patrons vowed to contribute $650 million to victim reparation. By 2014, no more than $1.5 million had effectively been transferred to the National Victims Fund, leaving the effective reparation of victims with Colombia’s tax payers rather than the victimizers. Widespread corruption is further fueling distrust in the government’s management of seized assets and its promise to use the money for victim reparation. The director of the agency in charge of managing assets seized from drug traffickers was arrested in 2013 after prosecutors alleged he had embezzled approximately $13 million in assets. More than a dozen (former) congressmen were investigated for allegedly having received embezzled assets, but there have been no reports of convictions. The lack of transparency of both the FARC and the national government, and ongoing reports of rampant corruption in the highest echelons of power make it virtually impossible for Colombians to have faith that the promised reparations of FARC victims will effectively take place.